It’s already been a wild week in Metro Vancouver… and it’s about to get worse. 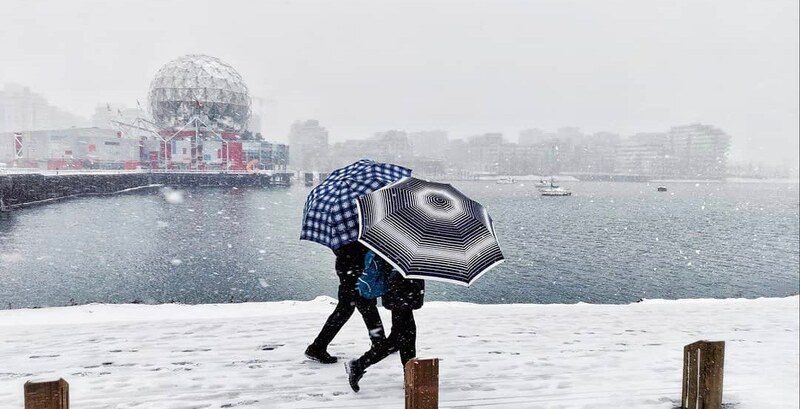 On Monday, a snowfall warning in effect for the region stated a long period of snowfall with total amounts of 10 to 15 cm expected. The warning states that a long period of snowfall with total amounts of 15 to 25 cm is now expected. A second warning keeps the 10 to 15 cm warning for Surrey and Langley as well as Richmond and Delta. The snowfall has forced most of the region’s colleges and universities to close, as well as the region’s public schools.